Within nature there is the potential for both good and evil, for light and dark. Both must exist as neither can be anything without the other. Dual wolves entwined within a dream catcher representing Yin and Yang. 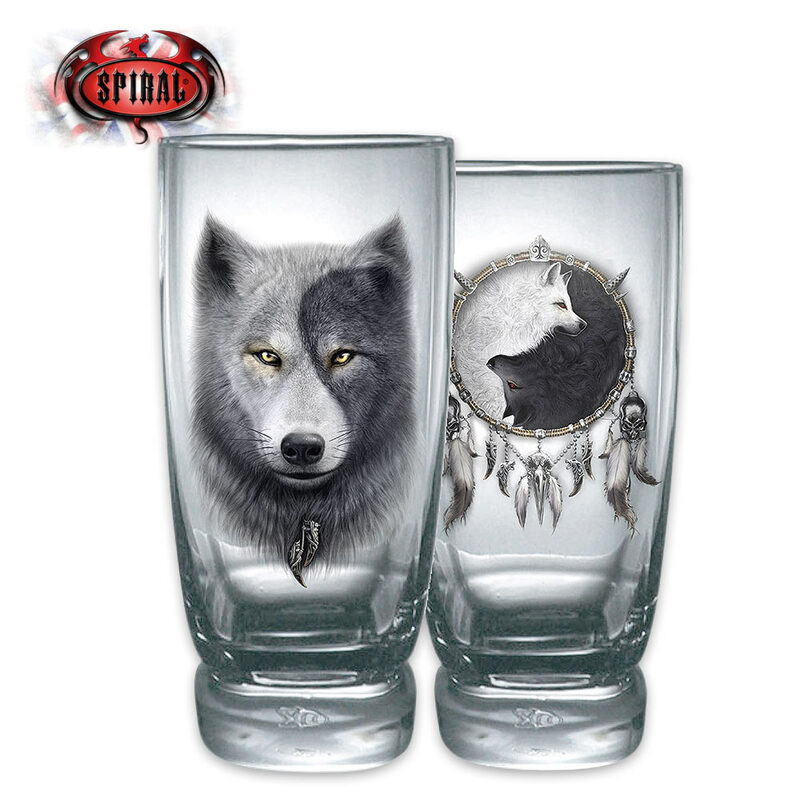 This set of two stunning, high-quality glasses feature an original design that is beautifully detailed. Each glass is 5 1/2” x 2 2/5”.